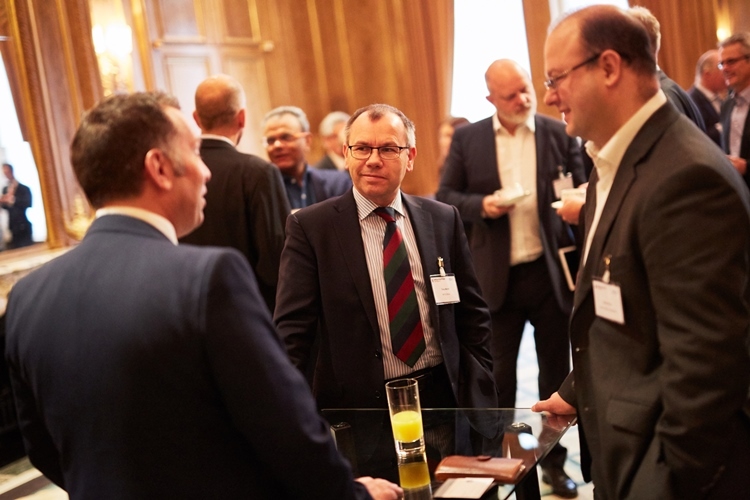 Elevating knowledge management so that it becomes part of the DNA of a company’s culture was the key take-away at a recent forum event organised by Infrastructure Intelligence and supported by BST Global. Andy Walker reports. View a PDF version of this article here. In an increasingly competitive construction marketplace, professional services firms are looking at how to better use their talent and intellectual capital to spread knowledge and make it more accessible across their organisations. 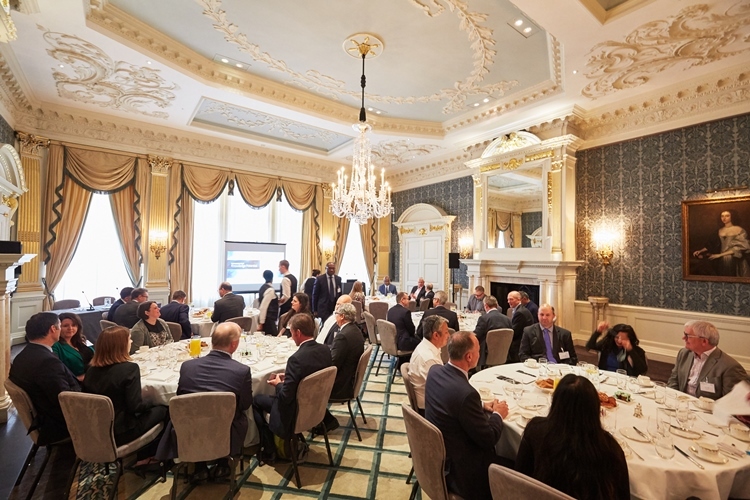 Those present at a recent breakfast forum on knowledge management at London’s Claridge’s heard from leading experts in the field about how to create and foster learning organisations that better share information and work more efficiently as a result. “The ability to learn and innovate faster than your competitors may be your only sustainable competitive advantage,” said Darryl Williamson, director of knowledge management and information delivery at BST Global. “Leveraging knowledge assets in a firm is achieved by fostering a culture that meaningfully connects people,” he said. Culture was a recurring theme at the event. “It’s not just about doing something different it’s about becoming something different,” said Williamson. “We really want to zero in on the cultural dynamics – it’s about who we are,” he said. "It's not just about doing something different, it's about becoming something different. We really want to zero in on the cultural dynamics - it's about who we are." According to Williamson, knowledge management was “an ability to capture, recall and use my experiences”. To do this well, it was important to resource knowledge management properly within an organisation in order to foster the right culture, he said. “You have people looking after the money side of what you do, marketing and also HR, but it’s the same thing for knowledge. You need to elevate it as a professional focus. Knowledge management has to be somebody’s job,” he said. The financial imperative for this was clear, with recent surveys showing that 39% of employee time is lost by duplicating work and 58% of people wasting an hour a day looking for information. “Unbillable time,” Williamson called it. “Organisations that do knowledge management will see a double return on assets and sales and as they learn on project work they are able to leverage this learning on future projects, increasing efficiency and reducing the risk of defects too,” he said. Williamson also talked about the need to grow the awareness of knowledge management in a firm and the “lightbulb moment” where “you see the world differently”. “You need to back that up by developing practices within local offices and sharing knowledge between departments,” he said. “Then analyse and look for improvements and start to measure. Knowledge management is a process and you have to nurture it. It’s like a science,” he said. Williamson said that the values of an organisation were also important. “Ask yourself, do we value people’s contributions?” he said. “Transparency, openness and accessibility need to be in the company DNA. Discuss ideas vigorously and openly. Don’t discourage people. Create an atmosphere where people are encouraged to ask for help, value it and build that into your culture,” Williamson said. Williamson highlighted the four stages of creating good knowledge management - assessing leading, organising and gathering. Assessing whether an organisation has open and honest communication and engages openly and honestly with staff was crucial. As was recognising and incentivising collaboration. Having leaders inside a firm that ‘get it’ and who can champion knowledge management and link up business and tech was a must, said Williamson and gathering information was also vital so that firms have skilled communities of practice where staff know they can find people who can give answers. Organisation of information and particularly answers was vital. “Don’t be intimidated by content,” said Williamson. “Make sure that information is appropriately tagged and categorised so you can find it effectively, but locate answers not content. You don’t want practitioners looking for answers you want them finding answers,” he said. Dominique Poole-Avery, associate and knowledge manager at Arup, shared her many years of looking at lessons learned on projects and how better to share information across firms. “We look at knowledge management internally but we also work externally with behavioural change consultants. 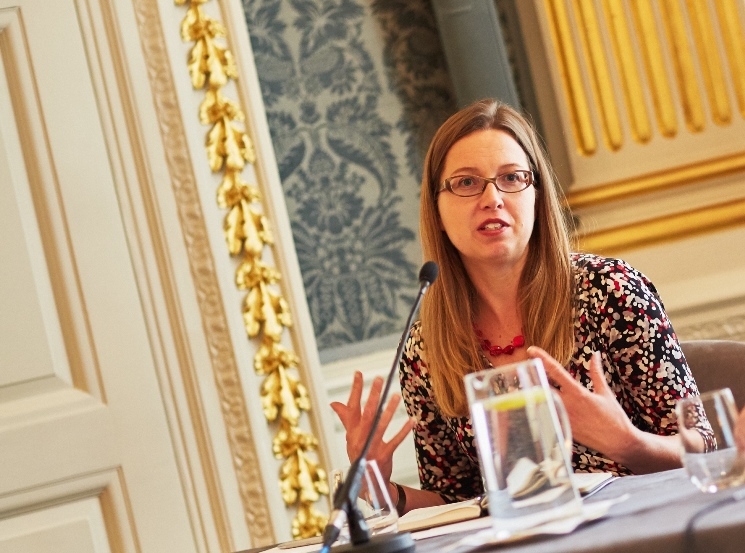 The Arup culture of employee ownership has been important in sharing information in an organisation where last year we worked on 17,000 projects with 8,000 clients in 138 countries – that’s a lot of learning,” she said. "We look at knowledge management internally and the Arup culture of employee ownership has been important in sharing information in an organisation where last year we worked on 17,000 projects with 8,000 clients in 138 countries - that's a lot of learning." “Finally, people are now realising that IT is two words and the first word is more important than the second word,” said leading management and IT consultant Iain Godwin, who specialises in working with architect-led design consultancies and construction industry businesses. 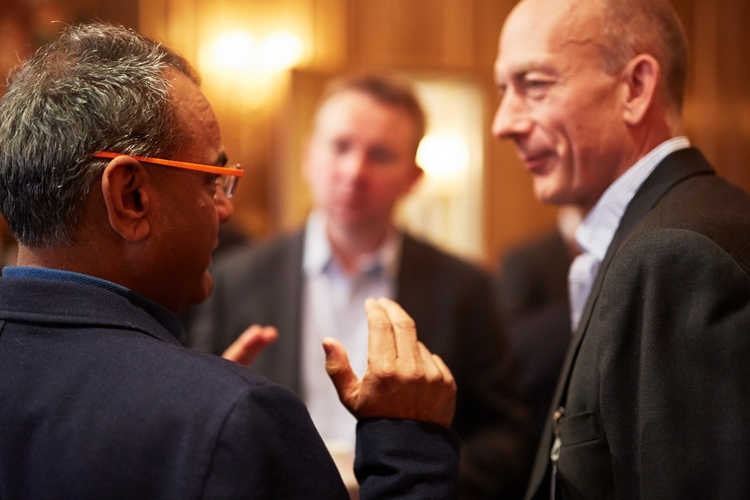 People and organisations get themselves into silos but how do we use the business itself to break those silos down and get value out of the knowledge that is in the business?” he asked. 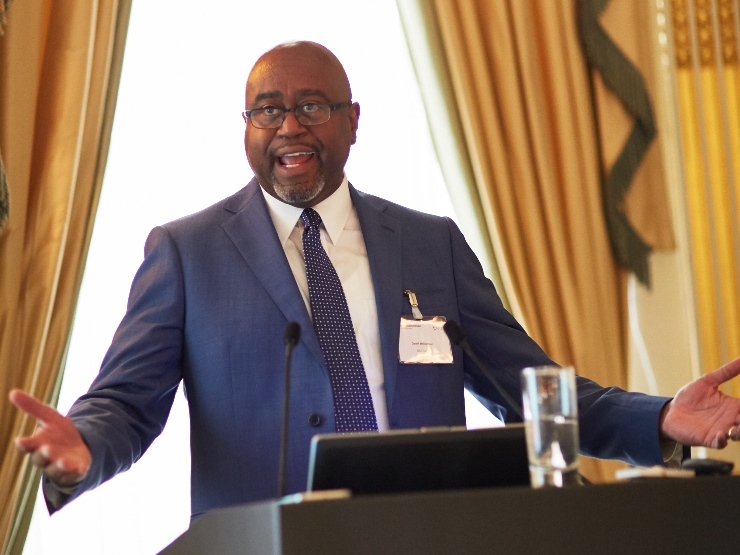 Poole-Avery said that Arup had a network of 80 communities of practice, with two thirds of these regarded as key skills networks within the organisation, the leaders of which are highly regarded within Arup globally. “They are global and regional leaders who have the mandate to make sure that they share skills and knowledge and expertise and also to promote this externally as a leading presence in the industry,” she said. 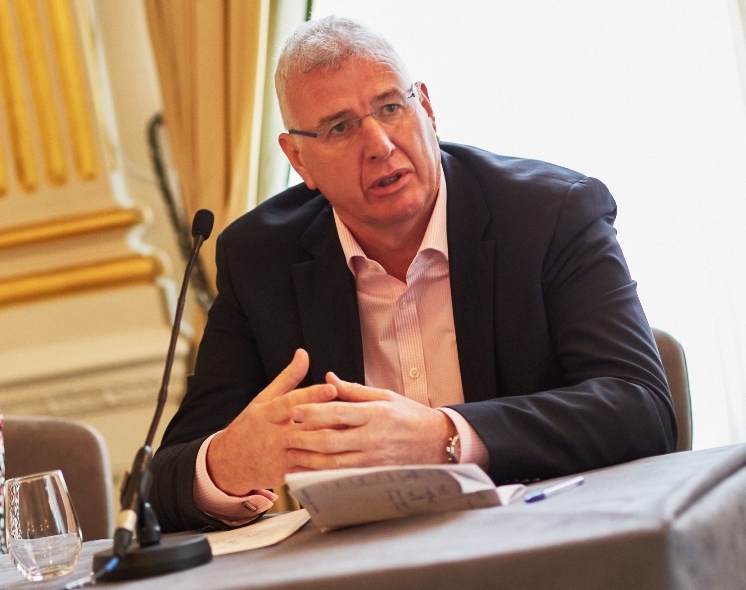 However, with the construction industry increasingly more commoditised with lower margins, some attendees highlighted that it was difficult to defend spending on what people may think is a ‘highfalutin’ area of knowledge management when margins are tight. “Everyone is being asked to do more for less money and that means working smarter,” said Iain Godwin. “Working smarter means using the knowledge that you have more effectively,” he said. For firms at the early stages of their knowledge management journey, it was crucial to get buy-in from leaders and convincing people at an early stage that this is good for business. So, how do firms demonstrate that knowledge management has helped maintain margins or reduce costs and does it pay for itself? “You need to look at your processes,” said Iain Godwin. “When you look at how businesses work you start to discover enormous inefficiencies and silos. You want to connect these silos together because you are only as good as the weakest data you have. Knowledge management is part of doing things better and more efficiently,” he said. "When you look at how businesses work you start to discover enormous inefficiencies and silos. You want to connet these silos together because you are only as good as the weakest data you have. Knowledge management is part of doing things better and more efficiently." Darryl Williamson said it was important to have stories to support investment. “You want anecdotes to support what you want to do so use project post-mortems to provide you with those stories. It’s very important that you don’t just start with a vision for investment,” he said. Iain Godwin was clear that from day one “you need to establish the principle of sharing”. Firms needed to embed this culture from the very beginning he said. “It’s about connecting people as much as finding knowledge. The concept of “marginal gains” that we see so often in sport is also crucial in business. Build that positive culture and nurture it. It has to go all the way up the organisation and all the way out for a business to truly take advantage of knowledge sharing,” he said. Darryl Williamson agreed. “It is about bringing people together. Even an initial low-tech route of creating forums to discuss projects is helpful. Creating that forum will create that momentum for sharing. Even a simple lunch conversation, then asking what people want to talk about next can let things grow into something much bigger,” he said. 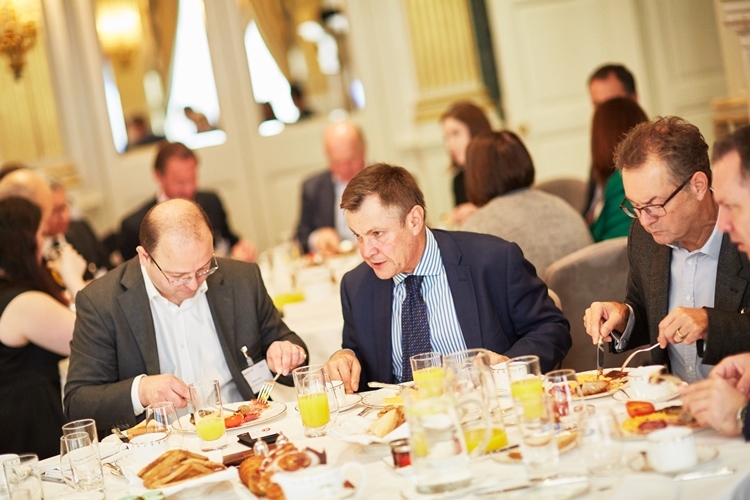 Attendees at the breakfast forum had much food for thought on an issue that is growing in importance for professional services businesses and they left with many ideas about how to embed knowledge management in the culture of their organisations in the future. BST Global provides integrated business management software solutions for the world’s leading architects, engineers, and environmental consultants. More than 100,000 professionals across six continents and 65 countries rely on BST solutions each day to manage their projects, resources, finances, and client relationships. For more information, visit bstglobal.com.